Is jQuery still a relevant library in front end development? Yes or No will not be the correct answer for this question, but jQuery should be considered as other library and only be added when needed. It should not be added by default in all the projects. It costs you 30 kb of compressed script that in turns give you simple code for easy handling user events, effects & animation, webpage manipulation, fetching data from sever and more. 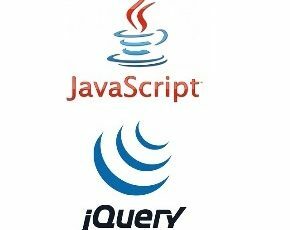 Why jQuery is used by developer? One of the primary reason of using jQuery is; less code for DOM manipulation and it can handles many cross-browser compatibility issues. But if the target is contemporary browsers and your project need small DOM manipulation, it doesn’t make sense to add 30 kb of file for that. It will be like; you need one litre of milk and you are planning to buy a cow. So, it’s better to come out of cage sometime and sharpen the battle claws. There are many javaScirpt based Libraries and Frameworks. I am not opposing to use any framework or libraries but it should not be used only because it is being discussed a lot in the community and used by many developers. Library: package of code which is called by your application to perform some specific tasks to speed up and make it easy for developer. For example jQuery, Underscore, Handlebars etc. Framework: It encapsulates common application functionality and allows developer to focus on the parts that are unique to their application. It imposes structure on your code to address a particular problem. For example Angular, Backbone etc. In my opinion It is still relevant. Many java script framework includes its lighter version and really comes handy sometime when applying some animations or UI logic. Previous Previous post: Information Visualization – How to effectively convert an abstract data to visual?